Normally thought of as the closest place to find a brothel near Las Vegas, I would not have guessed that Pahrump was home to a vineyard. Moreover, I wouldn’t have thought a Desert winery would be any good. Turns out I was wrong. Ryan and I discovered Pahrump Valley Winery on a day excursion when we first moved down south. The town has a reputation and we wanted to take a look and see what we were missing. Turns out, other than the winery, Pahrump is not really a place to write home about but the wine is to die for! At least I think so. At the start of our Mr. Boston’s blog series, I purchased two bottles of Sherry from the local supermarket out of convenience. I haven’t been loving any of the cocktails we’ve mixed using the Sheffield brand Very Dry and Creamed Sherry thus far. 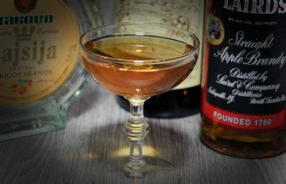 For some reason, the delicious bottle of Creme Sherry we sampled out in Pahrump had totally slipped my mind until tonight’s recipe, the Coronation Cocktail. 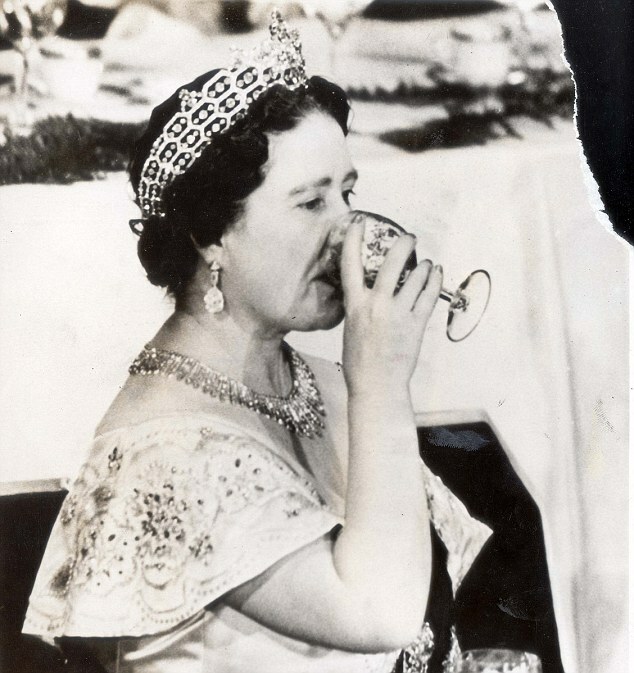 The oldest Coronation cocktail recipe I could locate was in Jacques Straub’s book from 1914. 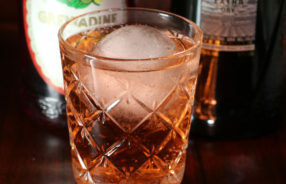 The only Coronation of that time was for King George V. His wife, Queen Elizabeth was notoriously fond of Dubonnet Cocktails which makes sense why Jacques’ recipe includes the ingredient. 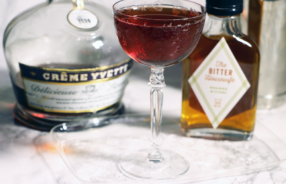 It is curious that Hugo switched out the Dubonnet for Sherry 3 years later. I discovered our local Walmart Neighborhood Market carried the Pahrump Valley Merlot and Symphony bottles last week but hadn’t given it thought enough to see whether they offered Sherry as well. A quick trip up the hill left me empty handed and I was nearly resigned to make the 1 hour 45 minute drive to Pahrump when it occurred to me that Total Wine would likely have what I needed. They did!!! Since we needed to drive to Henderson for the wine, I decided to look into a different bottle of French Vermouth. Dolin’s is indeed a step up from the Gallo I had experimented with at a younger age but it’s rather heavy and tends to take everything over. 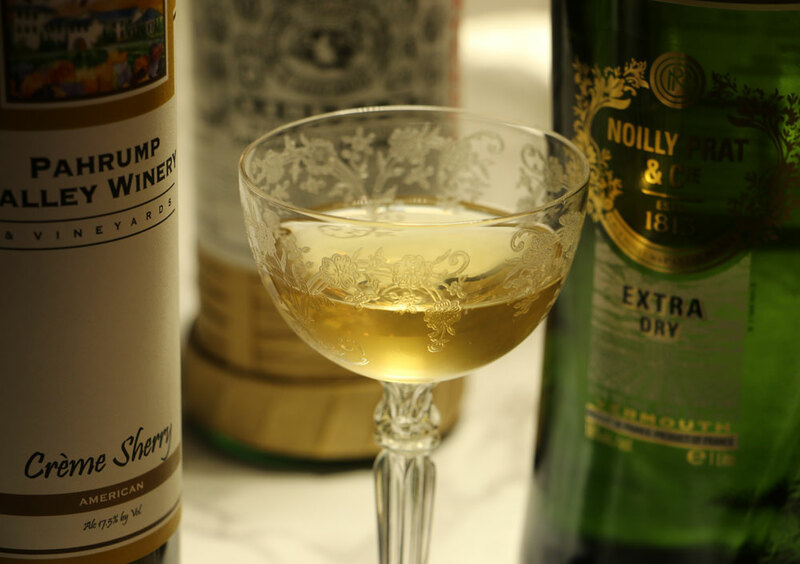 Noilly Prat Extra Dry Vermouth received good feedback, I figured it deserved a taste. When we finally made our way over to pick up the bottles needed, we were shocked to find that the Sherry was quite small for the price. Still, I had fond memories of it and insisted on continuing with the purchase. The Noilly Prat was a much better buy. I guess it all balances out. Back at home, we tried each new bottle alone. I found both to be delicious, Ryan wasn’t a big fan of the Sherry.